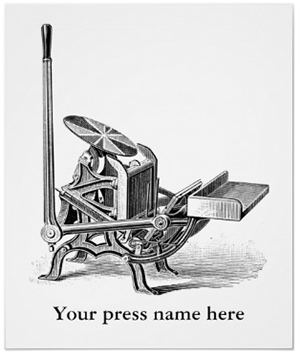 To support our free services, Briar Press has opened a small shop with some letterpress-themed items. 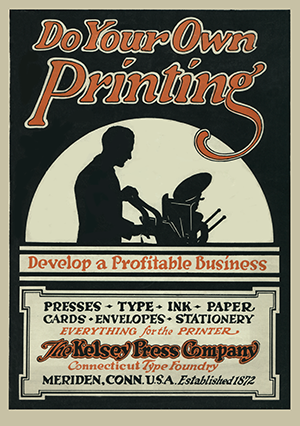 In addition to the aprons, we have large posters and cards including C & P pilot presses, Kelsey, Golding, and reproductions of original historical photos and advertisements. More will be added as time allows. Our mark-up, unless stated, is only $1.00 - $2.00 per item. There are frequent discounts on many items. 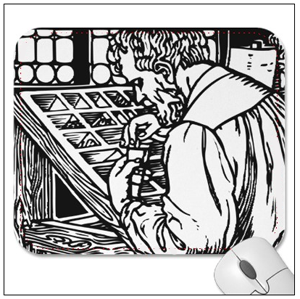 Be sure to look for the “frequent coupons and discounts” Zazzle link on the home page for current discounts on various products. 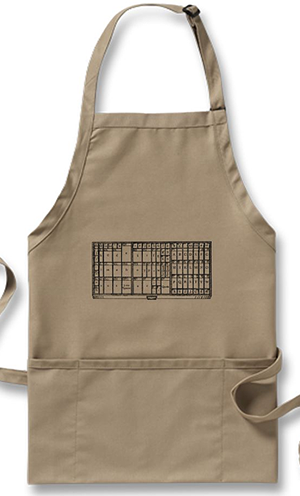 See Creating shop aprons and other items with our Cuts and Caps for specifics on custom orders. We appreciate your support. For questions about using the comment field in the Yellow Pages listings see Adding feedback to the Yellow Pages listings. For questions about this listing, see Questions about shop aprons.